Outstanding performance and a small pack size–ideal for travel. 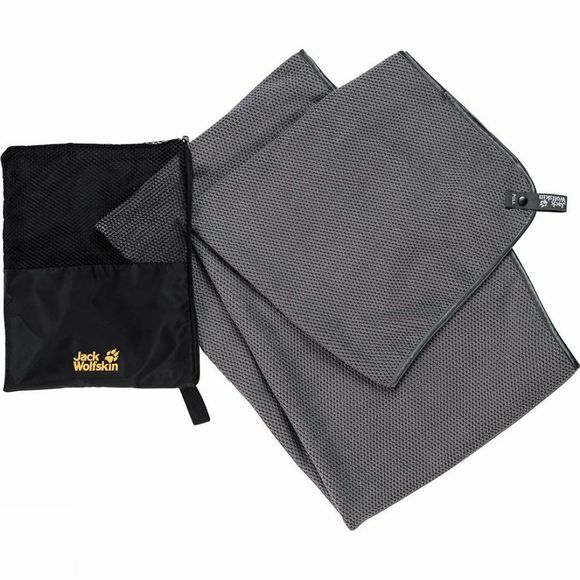 The Waffle Towel XL from Jack Wolfskin is compact, soft and very light. It can absorb four times its own weight in moisture. And once it's completely soaked, just wring it out and use it again. It is also fast-drying, so it's it perfect for outdoor use.